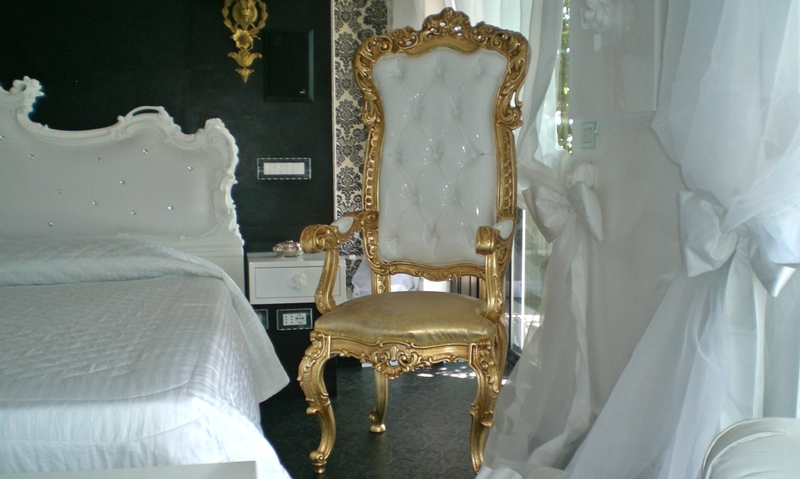 The tufted wedding throne with high backrest and arms model PUTTO, in carved strong wood, Luxury New Baroque style , is 100% manufactured in Italy by skilful Italian master craftsmen of Orsitalia. 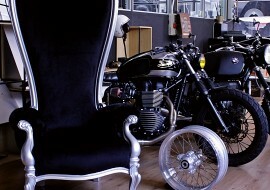 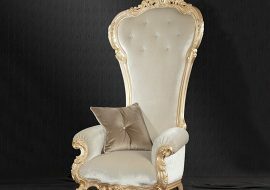 Orsiitalia tailor-mades this throne both for polishing (colored lacquer or silver or gold leaves) both for upholstery. 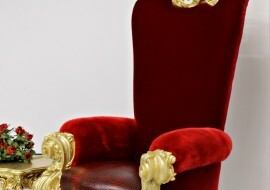 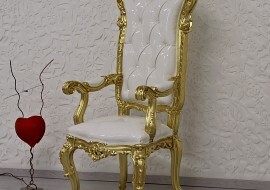 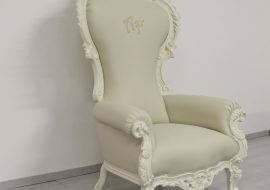 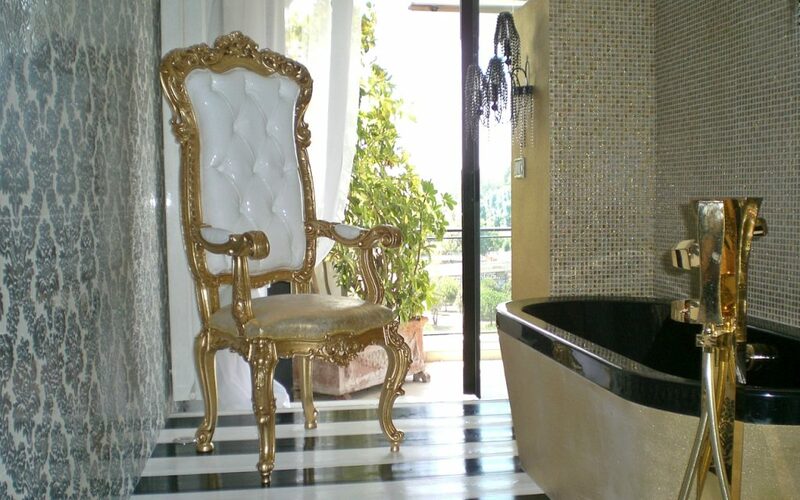 Orsi Italia propose, to custom-made this beautiful New Baroque Throne, a wide range of velvets, even fire-proof, fire resistant fake leathers, real leathers. 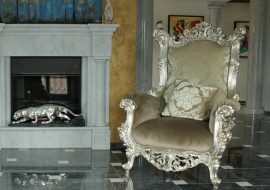 The little thrones Putto manufactured by Orsi Italia in contemporary New Baroque design are suitable for any type of ambience: the luxurious lobby of a hotel, the dining-room sumptuous of a villa, a wedding restaurant, manager office. 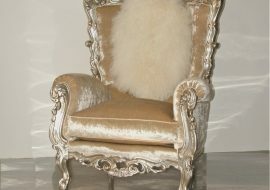 Orsitalia upholstery this little armchair with high backrest by hand and to beautify it use for tufting special Swarovski buttons or metal studs or jewels buttons.It is available in a wide range of fabrics and finishes for a tailored customizing in order to satisfy the tastes of the most demanding customers.